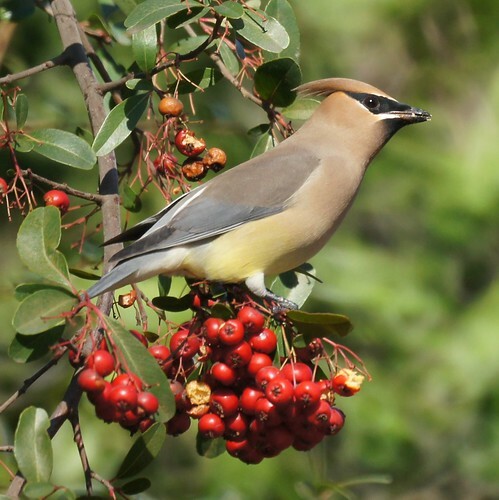 We are pretty happy with some prior cedar waxwing photos we've taken in NJ, but these with the berries we like just as much if not more. 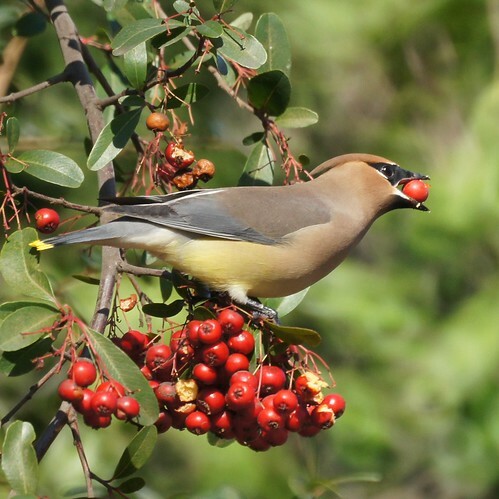 We had never actually observed the waxwings eating berries like we've read they do until we were in CA. 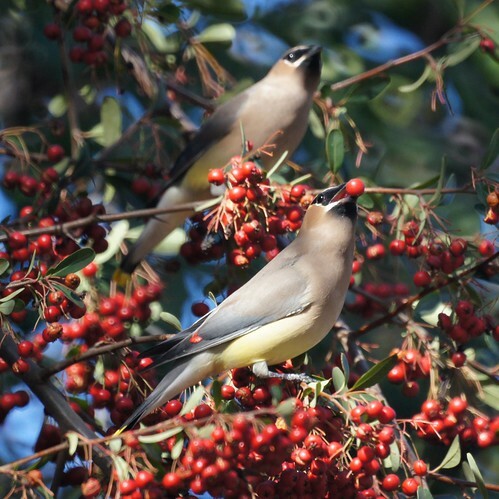 It was a very large flock, and they were having what seemed to be a really good time with an abundance of berries.